I apologise ONCE again for being quite M.I.A but I've been quite busy so to speak. My hours pass by before I even get stuck into doing things when I get the chance. Last week itself was a headache, I've started redecorating which is 95% finish, just needs some finishing touches. My male best friends must of seen this as the most girliest they've ever experienced me... my nail tip completely snapped off straight into my palm on Thurs I was so shocked that a lady asked me if I was okay and I had to proclaim that I was not as my nail came off and due to my decorating the white spirit had managed to chip off my manicure... which I'm so devastated about. So we can safely say... last week was officially a week I'd like to forget. I got a few things in the works at the present time, I have been quite off when it comes to blogging erm just after the drama's I was receiving you just kind of get this *sighs* why am I bothering feeling but after a break you realise there's the true ones and yourself who you continue doing this for. Hope this week goes better for you. I just lost my right hands index finger nail too. 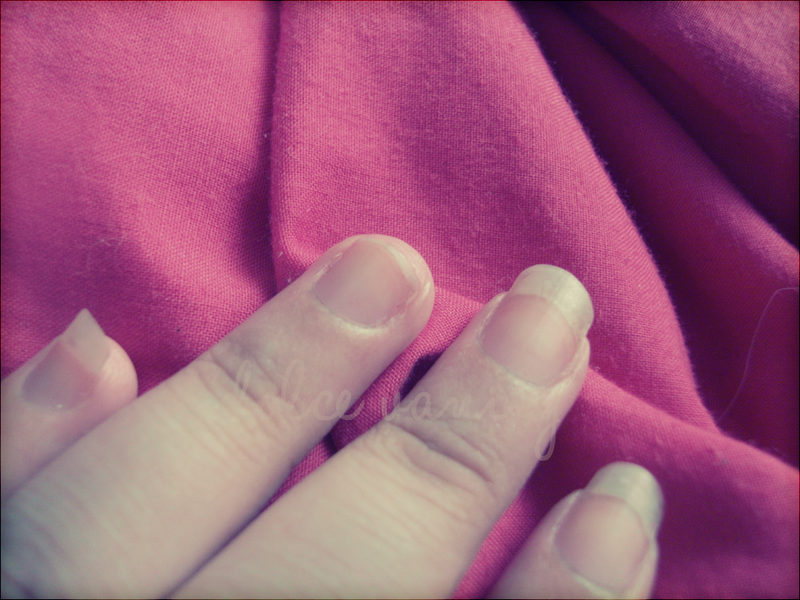 Now I have 9 really long nails & 1 short one & no time to shorten the rest, ugh!